Decades before the concept of crowdsourcing and Kickstarter campaigns were common, local Bucks County businessman Herman Silverman invited three friends and business associates to lunch to discuss an important need at the newly built Doylestown Hospital. It was 1978, and Silverman had recently experienced chest pain (angina). 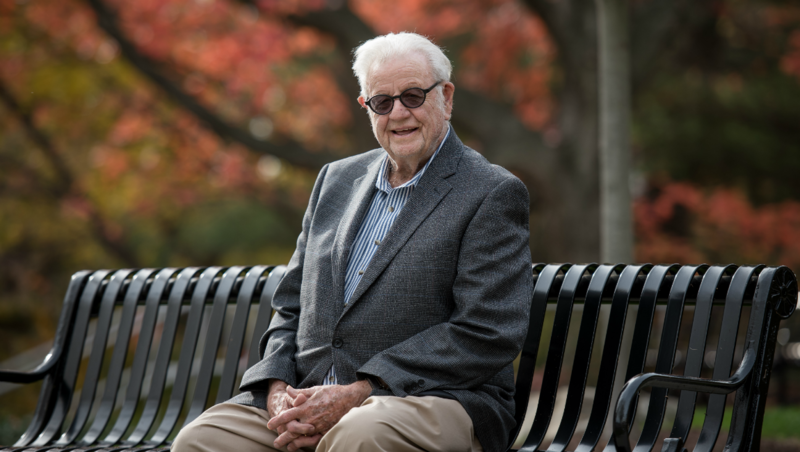 His physician, Joseph McGarvey, Sr., MD, one of Doylestown Hospital’s first cardiologists, noted that a full range of advanced cardiac services was not yet available in the local community. True to form, the entrepreneurial Silverman set out to rectify the situation. Having realized success as the founder of Sylvan Pools, one of the country’s largest swimming pool companies, Silverman had a knack for creating new ventures. That day at lunch, he and his friends launched the $100 Heart Club. With initial contributions of $100 each, and at Silverman’s request, they sought to enlist others and pledged to raise funds yearly in support of Doylestown Hospital’s cardiac program. Nearly forty years later, the $100 Heart Club is now known as Friends of the Heart Institute. At 250 volunteers strong, this dedicated group of supporters has collectively raised $1.5 million since 1978. These funds enabled Doylestown Health to achieve designation as a recognized center of cardiac care excellence as was originally envisioned by Dr. McGarvey and Doylestown Hospital leadership. “Doylestown Health has grown in stature, respectability and accountability in so many ways,” says Silverman. “I know people that live closer to other hospitals who want to come here instead because of the kind of care you get that’s just not available elsewhere.” Through lead gifts and special events, funds raised by the Friends of the Heart Institute support the key priorities of the Richard A. Reif Heart Institute such as the purchase of state-of-the-art medical and surgical equipment and patient education programs. The impact of the Silverman family’s leadership in philanthropy also extends to other areas of Doylestown Health, such as the Emergency Department, Pediatrics, and the Ann Silverman Health Clinic, established in 2008 in memory of Silverman’s late wife, Ann. As the philanthropic arm of Doylestown Health, the Doylestown Health Foundation raises funds to safeguard the future of excellence in patient care and improves the quality of life for all members of our Central Bucks County community and beyond. Join us and make a gift today. For more information about Doylestown Health Foundation and giving opportunities at Doylestown Health, please call 215-345-2009 or email gifts@dh.org. Thank you. We welcome the opportunity to connect with you and answer your questions. Invest in the future of healthcare excellence for patients and families in our community. Every gift makes a difference. Learn how yours can make the biggest impact.